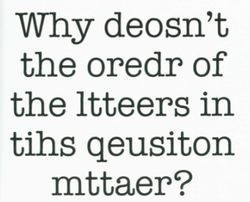 does the oredr of lteters maettr? This is the one part of Hall's Chapter 3 that really stood out for me. I could read the words exactly and I am pretty sure everyone could do the same. But the question is why? Why can we read this perfectly when we are taught to read words from left to right sounding out each letter as we move on from letter to letter? Looking at the individual words on their own, it looks incredibly weird. It shouldn't make sense to read the word "deosn't" as "doesn't." This crazy idea makes me question how our brains truly work in this magnificent way. Hall says that the reason why this happens is because we do not have to read every letter before we read the whole word. Our eyes simply skim over the letters quickly to form the word which makes my jaw drop. I honestly think this is such a crazy concept that I will never understand. The only way we can read a word is if the first and last letter are in the right place. Were you able to read it? I could read it straight through. Some words caused some confusion to be which made me pause for a little bit, but I could still read through it. Crazy, huh? I continued to look up some more examples and found these two which I had trouble reading and some others also did too. 2) A dootcr has aimttded the magltheuansr of a tageene ceacnr pintaet who deid aetfr a hatospil durg blendur. 2) A doctor has admitted the manslaughter of a teenage cancer patient who died after a hospital drug blunder. After reading these sentences, you can tell that in some cases, it may be difficult to figure out some of the jumbled words. From this you can see that the first and last letter is not the only thing you can use when reading text. Sometimes the placement of the letters have to be in the area where the letter would originally be to understand the word. But overall, it is still a crazy idea to think that we can read words and stentneces eevn if the wrods are jmulbed up. The Pleasures of Eating.... oh the pleasures. This article by Wendell Berry totally grabbed my attention especially since I knew it would be about food - and I do love food. I was thinking about food before I even read the article. What am I going to eat for lunch? What do I have in my fridge? Do I even have anything? Do I have to go food shopping? All these questions ponder in my head while thinking of food. This article poses some important questions that maybe some of us have thought about ourselves. 1. How fresh is it? 2. How pure or clean is it, how free of dangerous chemicals? 3. How far was it transported, and what did transportation add to the cost? 4. How much did manufacturing or packaging or advertising add to the cost? 5. When the food product has been manufactured or "processed" or "precooked," how has that affected its quality or price or nutritional value? I am sure none of us ACTUALLY thought about these when buying our food from the supermarket or even from a fast food restaurant. 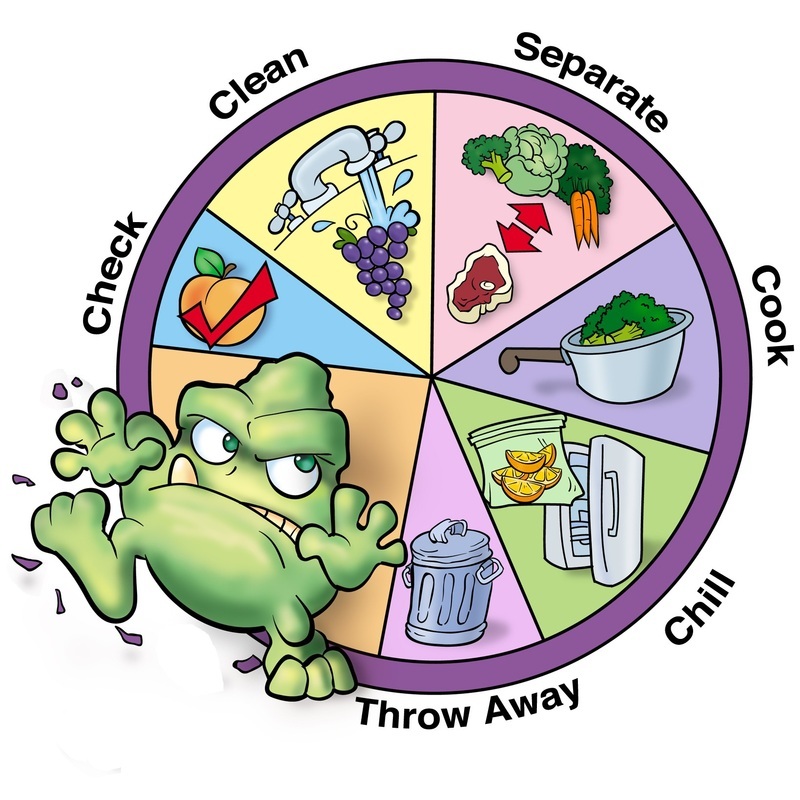 Food Safety for Your Family is a very informative article that goes over the ways you can help keep your family safe from food. "Safety precautions include knowing how to select foods in the grocery store, then storing them properly and cooking them safely, plus cleaning up well afterward." This is an article that could be considered to be added to The Pleasures of Eating. There are different ways to help keep your family safe when it comes to buying food, refrigerating and freezing, preparing and cooking fruits and vegetables, preparing and cooking raw meat, poultry, fish and egg products, and cleaning up afterwards. "The industrial eater is, in fact, one who does not know that eating is an agricultural act, who no longer knows or imagines the connections between eating and the land, and who is therefore necessarily passive and uncritical — in short, a victim." This is a problem that is widely thought about. When agriculture and food are not associated together with farming and the land, the consumer is thought of as having "cultural amnesia." Consumers are buying their food without realizing where it is coming from and how the producer got it which will lead to an unhealthy lifestyle and future. The food industry is now more concerned with volume and price. "But as scale increases, diversity declines; as diversity declines, so does health; as health declines, the dependence on drugs and chemicals necessarily increases." This is something that should be thought about. We don't want people to depend on drugs because of the way our food system is going. "A significant part of the pleasure of eating is in one's accurate consciousness of the lives and the world from which food comes. The pleasure of eating, then, may be the best available standard of our health. And this pleasure, I think, is pretty fully available to the urban consumer who will make the necessary effort." Here is a video clip of how to be safe with your food. CLEAN, COOK, CHILL, SEPARATE.. I was hooked right from the start when I saw the article called Computer Gameplay as Grunt and Reflection by Drew Kopp. I am one to play video games and that is why I chose to blog about this. 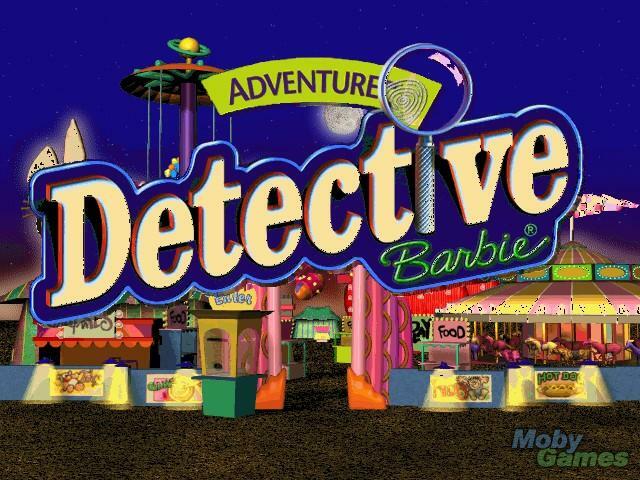 When I was little, I was obsessed over the 1998 computer game called Detective Barbie. (Yupp, this blog is going to be about Barbie.) 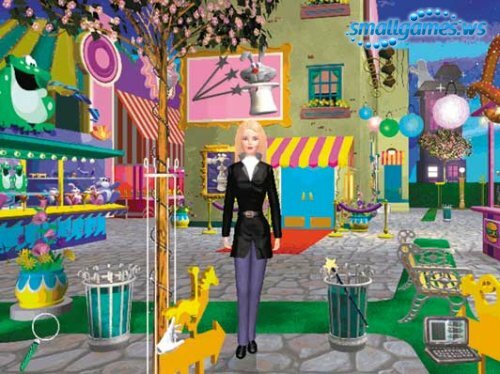 In this game, you control Barbie and look for clues and suspects throughout the carnival in order to solve the mystery. Someone has kidnpapped Ken! This was my favorite game. I remember always playing it on my dad's computer in his bedroom with my friend. We were hooked. I would sit there for hours controlling every movement of Barbie in order for her to find all of the clues necessary to get her love Ken back! For this game, you need the knowledge of how to work computers and how to operate the computer game. You need to use your skills to maneuver your player around. As you keep playing, as with any computer or video game, you have to learn yourself the rules and necessary buttons to help you win. Computer gameplay is defined as the specific ways in which the players interact with the game. It is defined through the game rules, connection between player and the game, challenges and overcoming them. This is how Detective Barbie comes in. 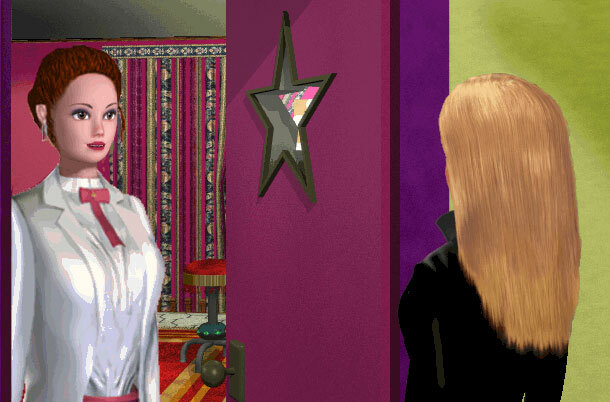 You are interacting with Barbie through the games rules, trying to overcome the challenge of the kidnapping of Ken. Drew Kopp talks about the idea of the "mirror." Computer games allow for the "immediate translation of the player's grunts into alien and virtual translation, bringing the player to avoid pain and experience satisfaction." Whatever you want the player to do is what they will do. You are the controller, the manipulator, which then is mirrored onto the virtual player. It is like you are virtually inside the computer. Whatever you want the player to do, the player WILL do. It is your choice. You are the mirror for the game. Here is another video walkthrough that has commentary from someone as she is playing. For my video mash-up, I was first considering covering the topic of standardized tests. It relates to my field of study in education and I thought that I would know a lot on it to do this assignment on. I then realized that I want to challenge myself and try something different instead so that I can learn more on this idea. I am going to argue about child beauty pageants and the negative affects of being in one. I was always concerned with these and how they effect the society and the children in them. I was watching the Bethenny Show earlier in the day and they had pageant mothers come on to talk about their daughters being in beauty pageants so this sparked my interest. Gobs of make-up, fancy expensive dresses, fake eye lashes, fake hair, spray tans, and perfect teeth are all the necessities for these pageants. Instead of playing dress up for fun, they are playing it to compete for money and for the tiara. Parents are turning their little girls into little dolls now. This can influence a child's self-esteem, body image, and self-worth. Being in beauty pageants can cause emotional problems, financial strain because they are expensive to be in them, external versus internal values such as being stressed about their looks instead, and that it sexualizes them. They are dressing provocatively for their age by wearing revealing outfits and learning poses that they shouldn't be doing. I am going to include clips of actual child beauty pageants to show what really happens at them. Including pictures of these children dressed up will support this stance. Since I watched the Bethenny Show about the pageant mothers, I can show clips of the moms and the audience talking about this topics. I can add quotes from parents or people that are concerned about these pageants. I am going to find articles that talk about the negative consequences that these pageants cause and include snapshots of these articles. To support my opinion, I am going to show video clips of newscasts or people voicing their opinions about child pageants. Another aspect could be based on the show Toddlers & Tiaras on the network TLC. This show follows families and their child star-to-be as they search for the title, sparkly crowns, and cash. I can also include videos of beauty pageants back then since child beauty pageants started in the 1960's. Comparing what young children are supposed to be doing at their age to these children competing for the most beautiful child can show the differences between the same age group. I might also add in the fight to ban beauty pageants for children. In France, legislators have said that pageants promote hyper-sexualization, sexualize girls at too young of an age, and so they have banned them. It was promoted from a French Vogue magazine of a young girl modeling on it. However, in the United States, our system defers to parents to make the right decision for their child.